​Firearm injury is the third leading cause of death among children, killing 1,300 children ages 17 and younger every year, and injuring 5,790. Over the past decade, deaths from firearms among children ages 1 to 4 years have almost doubled from 0.36 to 0.63 per 100,000. 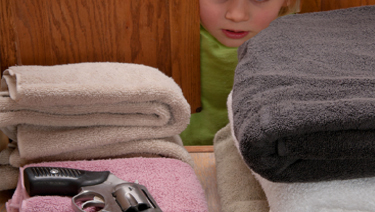 The study, “Family Firearm Ownership and Firearm-Related Mortality Among Young Children: 1976-2016,” in the February 2019 Pediatrics, finds a correlation between handgun ownership by families and the rising death rates in young children. Researchers analyzed fatality estimates from the National Vital Statistics System and gun ownership numbers from the General Social Survey, conducted at the University of Chicago since 1972, to study US trends, and examined whether handguns were associated with firearm-related deaths of young children. Ownership of larger guns, like shotguns and rifles, among families has been on the decline for decades, but families with young children who owned handguns increased from 25 to 32 percent. Today 72 percent of firearm-owning families with young children have handguns, which correlates with the increased death rate among young children from 2006 to 2016. The study authors conclude that increasing prevalence of handgun ownership by families may partially explain the increasing firearm-related child mortality rate. They suggest this is an important consideration for pediatricians and policymakers to reduce firearm-related deaths and to promote firearm safety.